. It protects them very well and makes it easy to find them. The different colors match any of your outfits. Buy with confidence, we manufacture eyeglass and sunglasses cases since 1990 in our own family factory. 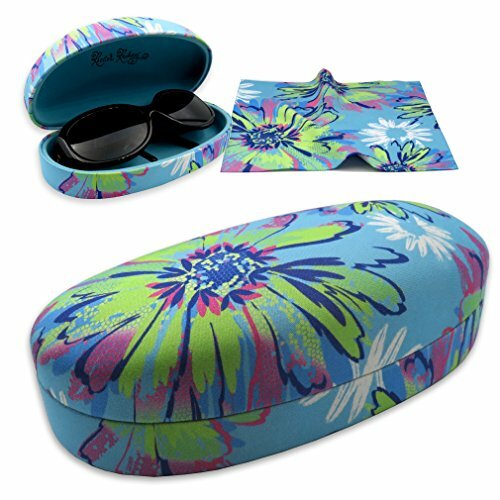 ✅ Rachel Rowberry Floral design Hard sunglass case with matching Microfiber cloth.